Home » Articles » 83. How adult are you? ← 82. Do you have an animal mission? 25 examples to find out. 83. How adult are you? 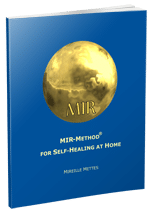 Marie recently wrote under article 76: “5 Questions for Taking Decisive Action”: The MIR-Method has helped me and caused me to let go of old patterns. Detach father/mother, fulfill basic needs, chakra/aura and clarify mission. Those were the most important points for me. Every time I said them, I got a special feeling. I freed myself from old obligations and feelings of guilt, started taking better care of myself, have been setting boundaries and said goodbye to friendships which didn’t function, while other friendships have become closer again. I’m more attuned to my spiritual needs, take time to read, paint and be in nature. My mission is to love the people around me; it doesn’t matter how. Through volunteer work, through being a caregiver, through a conversation and having fun. Thank you for sharing this simple but effective method. Help will cross everyone’s path, we just have to have the courage to accept it and see what’s really living inside of us! That is so true! It’s something we’ve somehow learned not to do: to not accept help. The big joke in life is that there is help all around us but that we often don’t see that help or can’t hear it, and are afraid to ask or simply don’t know what kind of help we need! We often hear someone say, “If I can do something for you, just let me know”. “Can I help you somehow?” We often wave the help too quickly away. “No, thanks, not necessary,” and continue doing everything ourselves. Do you have to become ill first? Until we get to the point that we finally realize that help would actually be very helpful. Many people have to become ill first, with a sore back or twisted ankle, to finally realize that help would be very welcome. And people like to help! That is also a fact. Do you still see with child’s eyes? How do you learn to ask for help and to receive it? The MIR-Method helps you to let go of old childhood pain. Slowly the child within grows larger until you become an adult. And when you are truly an adult, you are also capable of asking for help and accepting it! That happens via step 3: Detach father. Detach mother. Especially if your parents had a motto like, “Grin and bear it” and did everything themselves. With step 4: Clear meridians, you free, among others, the heart meridian. This meridian becomes blocked when you’ve often been rejected. If you clear the heart meridian with the MIR-Method, then you resolve the old pain of rejection and regain the courage to ask for help and to accept that help. Step 8: Optimize chakras en aura slowly works on opening the heart chakra. This gives you increasingly more courage to connect yourself with others. Then you’ll be able to ask for help again. 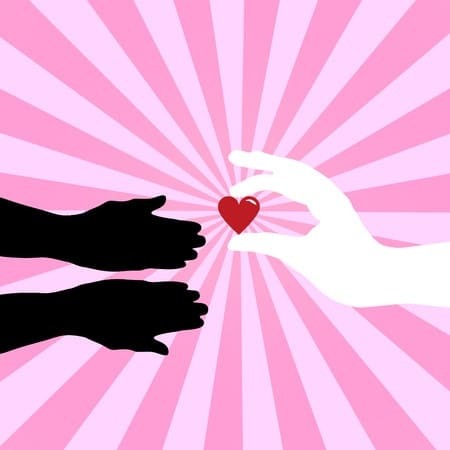 From within the mutual connection, you‘ll feel that others actually like to help you! Even though I’ve only mentioned a few of the 9 MIR-Method steps here, always do all 9 steps because they work in conjunction with each other! By doing the MIR-Method, you start to look through the eyes of your adult self. I used to have to solve everything myself, but now it helps me when I ask for help and I’m courageous enough to accept it! Now, as an adult, you can see and feel what your needs are. And you can ask about it! You can arrange and organize it. You are an adult now and so wise that you understand that you don’t have to do it all alone, but that it is fine when others help you! I’d love to hear from you. Are you, through the MIR-Method, better at asking for and accepting help? I’d love to hear about it! Write your message below. Thank you! My wish for you is an adult inner child! That still likes to play! P.S. Are you not yet familiar with the MIR-Method? Please go to the homepage: www.mirmethode.nl. You can watch the video there and also the instruction video. Register on the homepage to receive the newsletter and 6 weeks of coaching e-mails for extra support! When you ask for and accept help you are giving the other person(s) an opportunity to be of service which is a most rewarding experience. If we never need to ask for and help each other, how can we grow spiritually? Part of bonding is relying on each other, becoming closer and enhancing relationships. It is such a joyful experience for both participants to be of service to each other. Totally true! People love to help each other! But if we never ask… Thanks for your words of wisdom! Thanks for your wise words and your method. I use the method and feel that I am slowly losing my fear of rejection and my loneliness. I am always amazed at its quiet strength. Good to hear this! The steps you are about to take…! It is all inside of us. We just need to find a way to calm ourselves down and to get in touch with our inner strength. The MIR-Method is one of those ways. I am very glad it fits you!